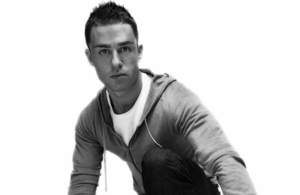 Master craftsman of melancholic melody and the purveyor of razor sharp edges – he is Simon Patterson. He hits records, from an illustrious decade long career, that retain absolute credibility in both the underground as well as the overground. After scores of international live shows and over 50 weekly radio broadcasts Simon’s Open Up brand was firmly established in 2013 as the main destination for quality underground trance and techno. With his own Residency show on BBC Radio 1 about to begin – which is a continuation from his series of In New DJs we Trust broadcasts in 2013 – Simon’s current popularity and position in the UK market is as important and relevant as it is worldwide.